Securities firm JP Morgan has reduced its production estimates of the Apple iPhone X by 25% from 20 million in Q1 to 15 million. Meanwhile, analyst Narci Chang also lowered estimates by 44% from 18 million units to 10 million for Q2. When it comes to the sale of iPhones overall, Q1 forecast was reduced to 52M from 55M while Q2 was reduced to 42M from 45M, not as much of a reduction, but still a reduction nonetheless. This is actually - the second one by J.P. Morgan. Apple’s sales appeared strong when it released the first financial report that included iPhone X sales. However, when you take into account that the average revenue per device was $797 as opposed to the $755 forecasted average, the company actually sold fewer devices year-over-year. 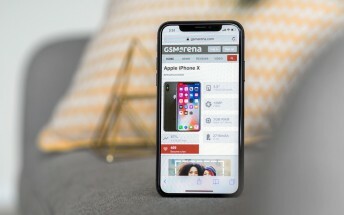 Apple’s $1,000 unicorn proved that consumers are willing to spend a lot of money on a handset, but perhaps not enough people are willing to, and Apple should reconsider its pricing structure for 2018 smartphone if it wants its number of devices sold to keep growing. On the plus side, Apple saw growth in iPad sales and has seen the most growth in Apple Watch sales with the launch of its cellular-enabled Apple Watch Series 3. Will 2018 be the year that Apple pushes for more innovation in the smartphone space?